When my husband Gary and I retired, we were adamant that we’d kick back and enjoy our new life. No deadlines. No alarm clocks. No schedules. But we’ve discovered we’re not quite ready to go from full steam ahead to a full stop. Which is why living part of the year in Panama suits us. We do things if and when we want. And if we decide to go on a day trip or even pack a bag and go on a two- or three-day adventure, there’s plenty of options for us to do that in Panama. 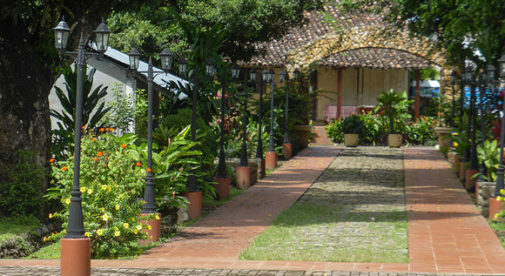 From the modern, pulsing rhythms of Panama City to the stunning beaches of Coronado, to the quiet, more laidback areas of Pedasí, El Valle de Anton, and Cerro Azul, to the vibrant carnival celebrations of Las Tablas, to the terraced mountain market gardens of Cerro Punta, there is something for everyone here. In our province of Chiriquí, there’s a long list of available activities to keep us entertained. If you’re the adventuresome sort, Boquete provides zip lining, ATV tours, horseback riding, and hiking up Volcan Baru. From the summit, the highest mountain in the area, we’d had the unique experience of gazing over two oceans at once. Traveling from Chiriquí towards Panama City, world-class surfing is available at Santa Catalina and at Venao Beach in Pedasí in Los Santos province. Sport fishing is hugely popular in and around Boca Chica. Panamanians are huge sports enthusiasts. You’ll find exciting, fast-paced soccer (futbol) and baseball games, boxing matches, local rodeos, and more are held throughout the year. Golfing is another popular activity and Boquete now boasts a stunning golf course nestled in the highlands and offering first-class golfing. Chiriquí is farming/ranching land and each year David hosts a huge agricultural fair (feria). Visitors and vendors, not only locals and folks from other parts of Panama, but from neighboring countries, arrive in droves to browse or display the wares. Produce, handicrafts, agricultural supplies, and livestock are on display, as well as a plethora of food, drinks, and children’s activities. At the last fair I picked up some gorgeous and intricate bead-work jewelry and some brightly colored, hand-stitched molas. Also part of this big fair is a huge horse parade through the streets of downtown David. Panamanians take great pride in their horses, and it shows. There is nothing quite like the spectacle of 3,000 beautifully groomed, high-stepping horses and their colorfully decked out riders winding their way down the street, smiling and waving at thousands of bystanders with glowing pride. Gary and I were both raised on farms and have a special place in our hearts for horses, so this is a not-to-be-missed yearly event for us. For those who prefer quieter pursuits, there are activities aplenty. Boquete has a new, modern library (thanks mostly to the fundraising efforts of the local expats), there is an active theatre group, an annual jazz and blues festival, birdwatching, tours of the local coffee plantations, and numerous specialty groups and clubs. We often go to the Tuesday morning market which is held in the BCP Theatre building every week. There we can buy everything from freshly grown produce, to baked goods, to handcrafted gifts for our friends and family back home in Canada. Although Panama is a small country, it is surprisingly diverse. Transportation is a piece of cake. Air travel between some of the country’s most popular destinations is easy and reasonably priced (a flight from David to Panama City right now is just $66). Buses are plentiful, reliable, air conditioned, and also affordable. Taking the bus from David to Panama City will set you back just $25 for the eight-hour trip. With so much to look forward to in this glorious country, you need never worry about being bored in Panama.